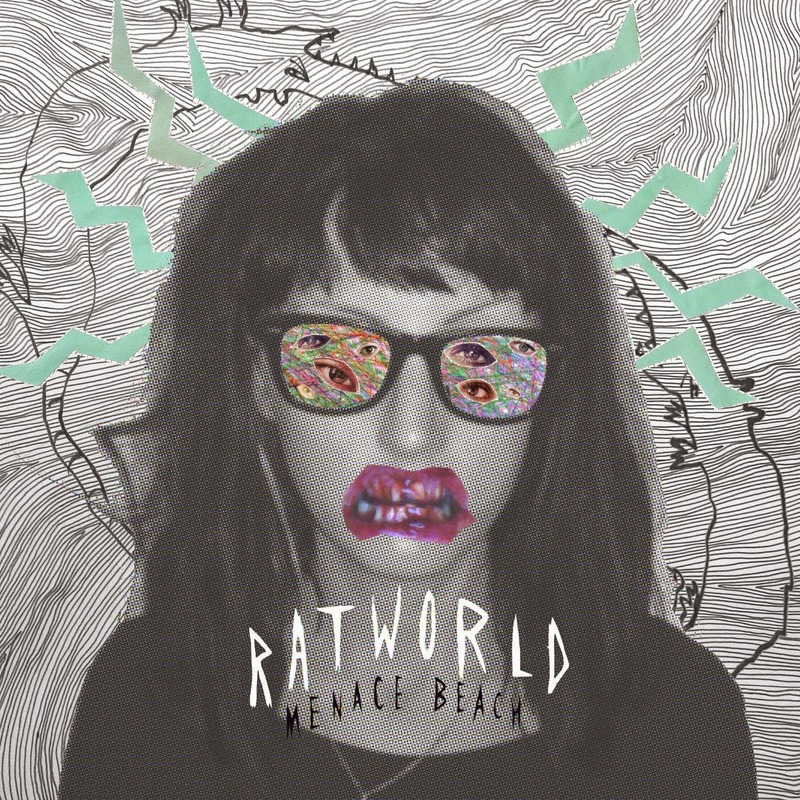 Ratworld is Menace Beach's debut album following the release of last year's Lowtalker EP. The album is raw, doesn't take prisoners yet has a softer underbelly in parts in amongst all the guitars. It's set the bar high for garage-infused rock in 2015. The album starts as it means to go on. It's scuzzy low-fi guitars from the start with vocals layered on top bursting through the fuzzy buzzes and squeals created by the six strings. Lyrics are kept simple throughout - the chorus of the opener is "maybe I'm a superman" - and cryptic (or plain bonkers) in parts - "I'm a tennis court with nothing in it, you can rent a car" and a track called Infinite Donut, but this all works to the benefit of the record. The songs are rough, ready and never hang around long enough to get tired. The one minute forty five seconds of Lowtalkin' crams enough riffs, screeched vocals and grunge impact into itself that you hardly notice it's all over so quickly, whilst Blue Eye almost gets lost in a wall of MBV-style white noise and feedback, but is in keeping with the ethic of the album which is to sound as different as possible from track to track but remaining coherent. The songs almost roll into each other in the way all the best albums manage to achieve. Ryan takes lead vocals on most tracks but Liza's contribution can't be understated as the two voices combine perfectly to remind us of those classic boy/girl indie shoe-gazing combos of the mid to late eighties and when she takes the lead she provides it with a harmonic melodic sheen that makes the record so affecting. Hookworms' MJ adds guitars too although they're far more accessible and radio-friendly on Ratworld than they are on his band's project whilst the drums are used to dictate the tempo and direction of songs such as the title track, which should be a staple of any alternative radio show worth its salt. Dig It Up sounds like the Pixies would have done by the time they got to Trompe Le Monde if they'd been talking to each other long enough to bear being in the same room together let alone make an album together. Ratworld feels half-finished in parts, half-assed in others and effortlessly nonchalant elsewhere, but it never feels throwaway and it's that which makes it such compulsive listening. It only lasts just over thirty minutes, but there's no time to stop and contemplate it, it's in your face from the start to the finish. Menace Beach's website can be found here. They are also on Facebook and Twitter.